The Dane Smart:System is a simple and intuitive solution to fulfillment logistics. Streamline your warehouse, DC & 3PL logistics and transform almost any store into a highly efficient click and collect location. The Smart:System combines the Smart:Drive, a compact powered cart pusher that is designed to tuck under and instantly hitch with the Smart:Rack, a configurable order fulfillment or restocking cart, or flatbed shopping carts–creating an ergonomic and drivable solution for market aisle pick and pack, or DC order picking. Whether your strategy is fulfilling from a DC or using your existing infrastructure to deliver goods the last mile, the Smart:System bridges the gap between manual processes and full automation, to optimize your infrastructure and enable efficient order fulfillment. Implement AGV technology in your workplace by simply driving the PowerPal on routes in manual mode. The camera-based Co-Pilot guidance system automatically maps the environment, learning routes and waypoints. This creates a flexible and easily implemented Vision-Guided Vehicle that eliminates virtually all the setup costs associated with traditional AGV systems. The first of its kind, the Smart:Drive is a multi-use, low profile power drive system. 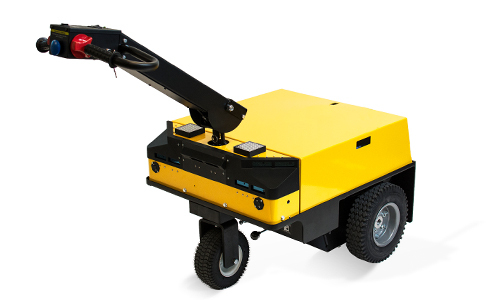 Designed to tuck under & securely hitch with carts & trolleys –The Smart:Drive transforms your fleet of manually propelled carts into powered carts at a fraction of the cost. 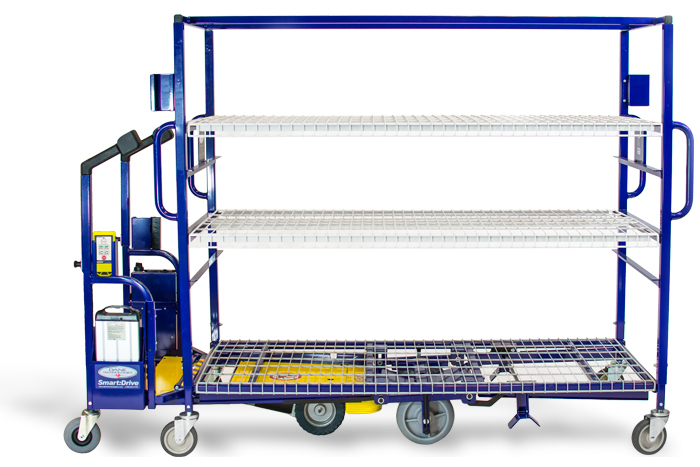 With instant hitching and fast foot pedal release your team has the ability to ride, drive & guide heavy carts safely & efficiently for effortless materials handling. The Smart:Rack 900 “Market Hall” is a compact, efficient solution for order fulfillment or replenishment in narrow aisle environments. Designed to instantly hitch with the Smart:Drive, the Smart:Rack 900 transforms into a drivable/ride-on powered cart, optimized for order picking and fulfillment logistics. The Smart:Rack 1500 is our large order picking and replenishment solution for use in warehouses & distribution centers. Unique center guide wheels deliver exceptional maneuverability and ergonomics for streamlined order fulfillment. 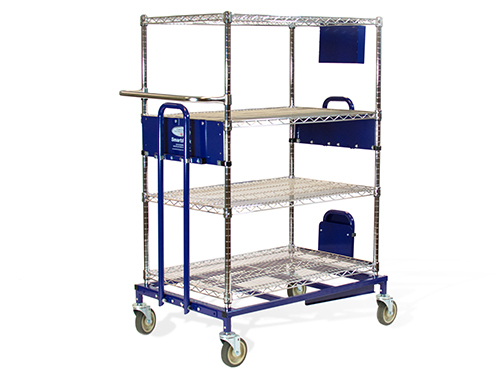 Designed to instantly hitch with the Smart:Drive, the Smart:Rack 1500 transforms into a driveable/ride-on powered cart optimized for order picking and fulfillment logistics. Industry leading quality doesn’t stop with the design of our solutions – it extends to product rollout and post-sale support. Whether you manage one site or thousands, when you partner with us, we are putting 20 years of experience in tens of thousands of locations to work for you. We work together with you to understand the unique requirements of every worksite and collaboratively design your rollout strategy. With every sale, we provide training materials, a certified operators program, and best practices guidelines to ensure your team achieves your productivity and safety goals. Contact us to learn more.